Needham averages one to two severe snowstorms every winter. We have had floods, hurricanes, tornadoes, and earthquakes, as well as Haz-Mat accidents on Rt 128, train incidents and power outages. We are vulnerable just as any other community and must work together to mitigate the risk, prepare for the correct response and manage events to minimize the effects to life and property. The Needham Emergency Management Division and the Local Emergency Planning Committee (LEPC) help Needham residents before, during and after a town-wide crisis. Rave Alert is the Town of Needham's reverse 9-1-1 system and is used to notify residents during emergencies. 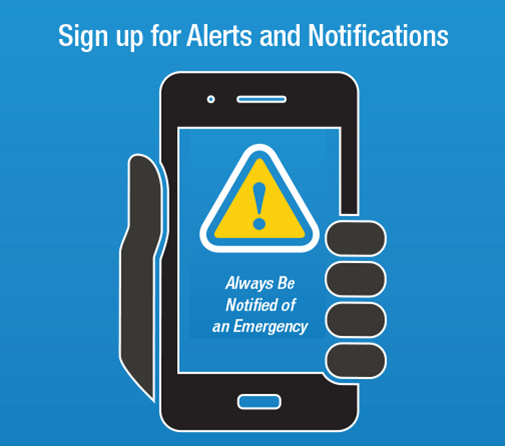 Receive free alerts via text messages, email, and/or voice message. Sign up now by clicking the picture below!